I was thrilled to receive another review for THE EARL'S ENCHANTMENT last week. In the review, Maura Frankman remarks that "the author is equally adept in historical, contemporary and paranormal aspects of this very good romance." For more, please visit The Romance Studio website here. 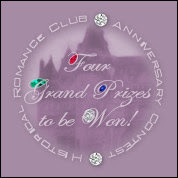 How to Enter:Simply visit HRC (http://www.historicalromanceclub.com/) and click on the Contest Logo at the top of the Romance News on the index page. Be sure to read through the Contest Rules before filling out the entry form...And remember, you must be 18 or older to enter. ;) Contest Closes:July 31, 2007 at 9:00pm EDT, so hurry and enter today! THE EARL'S ENCHANTMENT received a wonderful review by Joyce at CK2S Kwips and Kritiques. 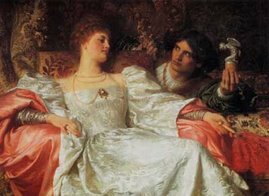 In the review, Joyce comments that "THE EARL’S ENCHANTMENT is well written and well thought out. Sara Freeze is one of the names I will be reading again soon." To read the rest of the review, please visit CK2S Kwips and Kritiques. 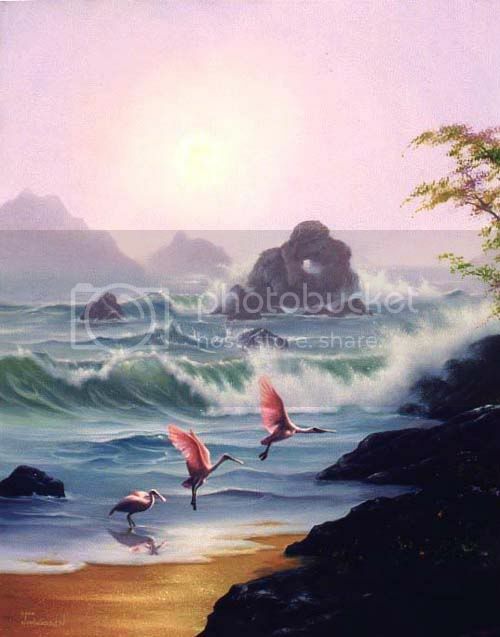 "The Earl's Enchantment" received a lovely review from Realms of Love and Romantic Observer, which is its sister site. In fact, on the rating system, it received a 4/5, a happy rating for a short story. The reviewer, Scarlet, remarked that "Sara Freeze’s glimpse into the life of an honorable, imprisoned ghost is a tiny nugget of delight." As I said in some previous posts, I'm busily engaged in my reading/writing program for the summer. I'm finding that as I become a better reader, I also become a better writer. Therefore, I'm constantly on the lookout for new books to add to the program. To aid that effort, I joined a new trend among authors: Becoming a book reviewer at an online review site. In my case, I'm interested in writing paranormal romances, so I signed on to the Paranormal Romance Review website. So far, I've really enjoyed the experience of carefully reading, summarizing, and analyzing books. I now actively look for aspects of characterization, plot, and setting both when I read and when I write. However, authors who also serve as reviewers need to be diplomatic in their roles. My policy is if I don't have anything nice to say, I don't say anything at all. Thus far, I've enjoyed every book I've read. If there was ever a case where I was unable to comment kindly on a fellow author's work, I feel the best response would be to allow the review coordinator to find another reviewer. To read my very first review and check out my reviewer space, please visit the PNR website at http://www.paranormalromance.org/reviews/user.php?id=8517.